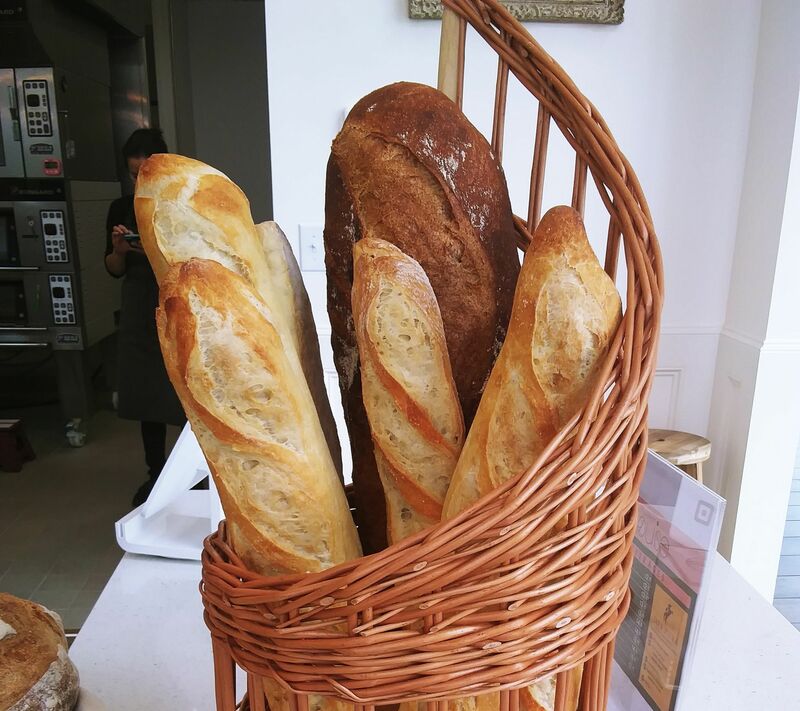 Jelle Vandenbroucke is using his European roots to inspire a robust new menu. Jelle Vandenbroucke, executive chef at JW Marriott's Main Kitchen. 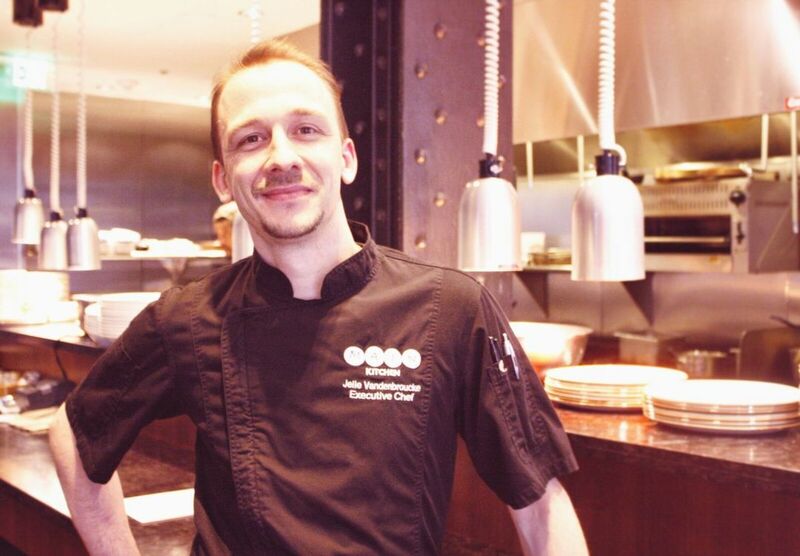 Jelle Vandenbroucke began as Main Kitchen's executive sous-chef in October. But with the November departure of original executive chef Erin Smith, Vandenbrouke was quickly promoted. Yesterday, he debuted his first menu at the downtown JW Marriott. To give a hint of his style, it's best to know that the young chef comes from outside the loop—very outside. Specifically, he's a native of Bruges, Belgium. And Vandenbroucke’s European roots reveal themselves throughout his robust, dynamic new menu. 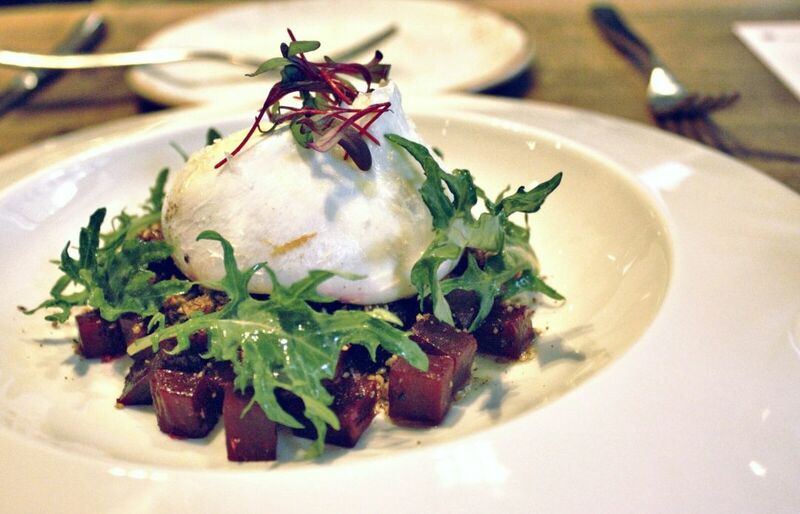 Burrata, roasted red beets, dukkah and sourdough. 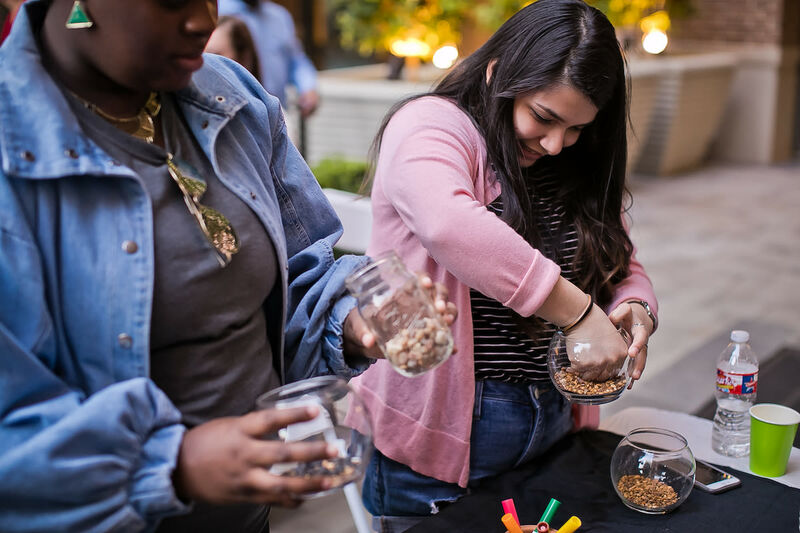 Last week, Houstonia was invited for a taste of the fresh fare. We began with a local market green salad with a refreshing jalapeño-dill ranch dressing. This was closely followed by a subtler pairing of angelically soft burrata cheese and roasted red beets enlivened with Egyptian dukkah spice mix. But one starter best showcased Vandenbroucke’s playfully ambitious sensibilities: Atlantic Cod cake with a mesclun salad featured lemon vinaigrette, jicama and grapefruit. Once blended, the vinaigrette invigorated the cod cake, while the fruit lent a fragrant delicacy. 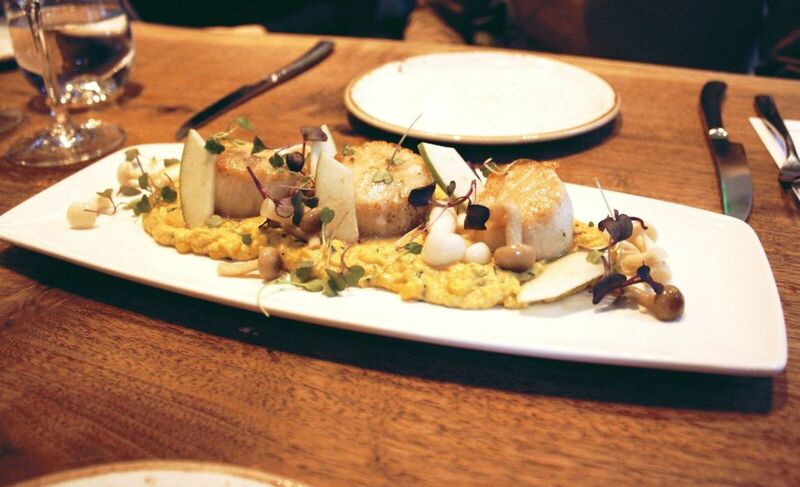 Pan-seared Atlantic scallops with golden corn purée and pickled shimeji mushrooms. Among entrées, Vandenbroucke’s pan-seared Atlantic scallops, served on a bed of corn purée (a more artful take on creamed corn) and pickled shimeji mushrooms, was especially winning. It was a dish firing on multiple cylinders. The flawless cook on the scallops is worth the trip alone, but Vandenbrouke balanced each aspect effortlessly. To represent his Belgian roots, Vandenbroucke served a chicken vol-au-vent. The old-school Euro classic featured the trademark hollow puff pastry filled with a cream-based chicken stew, which he paired with mesclun salad and appropriately flamande frites. But the chef isn't stuck in Europe: Asian influences came into view with a smooth red-lentil curry soup and miso-glazed cod matched with baby bok choy, shiitake mushrooms and sweet chile sauce. 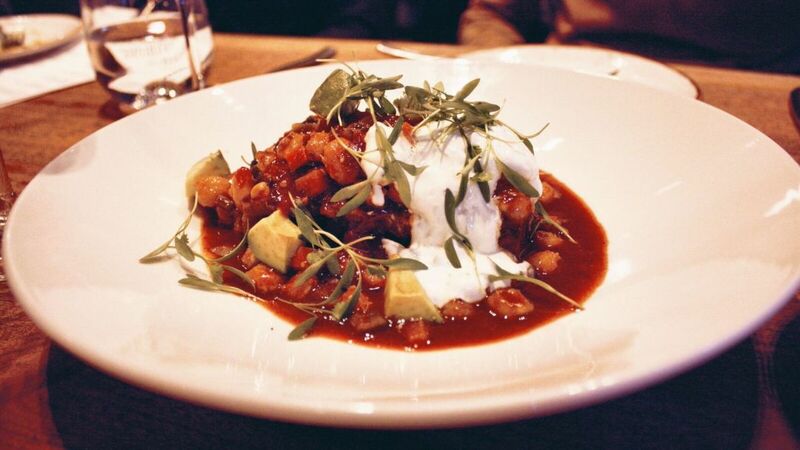 Guajillo-braised short ribs over vegetable posole, with lime crema and avocado. Leaving few major cultures untouched, chef Vandenbroucke's menu also includes Mexican and Mediterranean entrées. Informed by his wife’s native land, Vandenbroucke brilliantly executed a guajillo-braised beef short rib with a memorable vegetable posole. On another plate, spiced lamb meatballs on a bed of mint-infused ratatouille featured a delicate layer of smoked yogurt that added depth to the whole dish. And though it's not on the menu, Main Kitchen’s crew conquered yet another culture last weekend when they took home the Silver Ladle award for People’s Choice at Houstonia’s very own Gumbo Smackdown; their swoony duck-and-goose gumbo, thickened with foie gras, introduced Vandenbroucke’s unique skills to their biggest audience yet.